When chronic pain in your elbow or wrist reduces the functionality of your arm, chiropractic care can help. 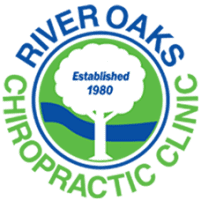 At River Oaks Chiropractic Clinic in Fort Worth, Texas, the experienced chiropractic team evaluates your range of motion and customizes treatment to alleviate pain. Using manual manipulations and advanced technology, the team addresses the root cause of your pain to help you avoid surgery. Find out more about the benefits of chiropractic care for elbow and wrist pain by calling the office today. What causes elbow and wrist pain? Arthritis is a chronic condition that can cause pain in any of your joints, including the wrist and elbow. The two of the most common types of arthritis that affect joint health are osteoarthritis, a breakdown of your joints, and rheumatoid arthritis, an inflammatory joint disease. In addition to arthritis, you can suffer chronic elbow or wrist pain due to overuse injuries, common in sports and manual labor jobs. The soft tissues that surround your joints can tear, resulting in worsening pain without proper treatment. When these conditions limit functionality in the affected joint or your arm, chiropractic care can effectively address these issues to help you avoid surgery. What treatments are available for elbow and wrist pain? The chiropractic team offers several treatments designed to alleviate acute and chronic joint inflammation and pain. The team is also skilled in using acupuncture to increase blood circulation to the affected joint and alleviate pain and mobility issues. How does cold laser therapy treat elbow and wrist pain? Treatment with cold laser technology is painless and fast. A hand-held device delivers light energy deep into the tissue without the need for incisions or anesthesia. The tissue cells absorb the light, converting it to the energy needed to trigger healing. The staff offers the convenience of in-office cold laser therapy to quickly reduce pain from injuries and chronic conditions like arthritis. Your chiropractic specialist can use cold laser therapy in conjunction with other treatments to increase your functionality and alleviate pain in the long-term. Learn more about options for acute and chronic elbow and wrist pain by calling the office today or book a consultation online.